Our Championship page contains photos specific to the taikai we host each year. 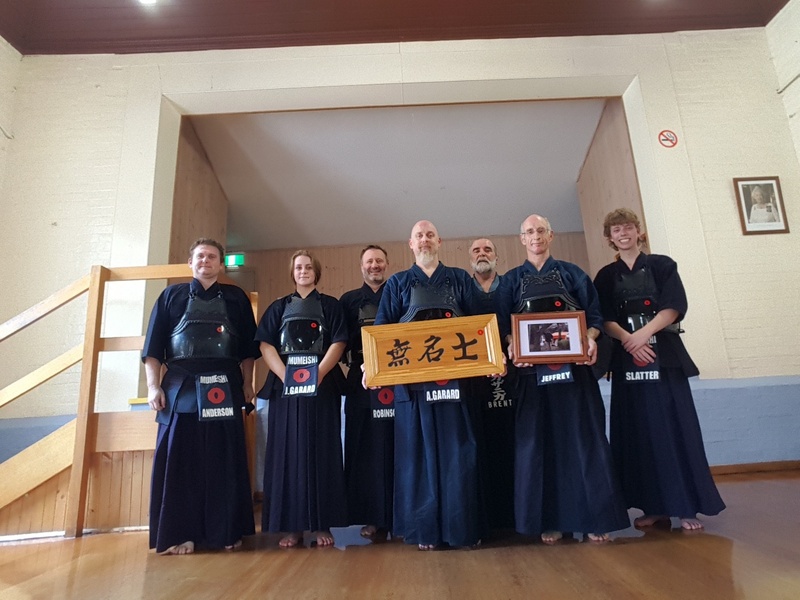 Congratulations to Tim Ashton and Trent Reeve at the Gold Fields taikai in 2018! 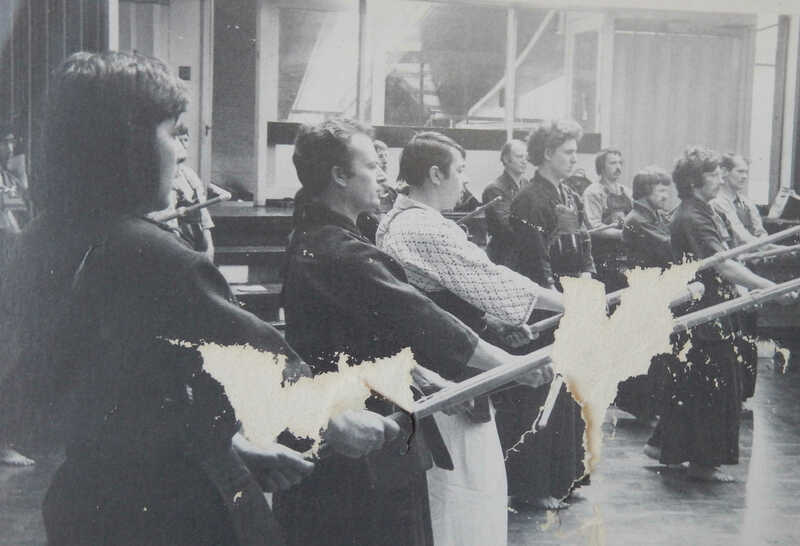 The above image includes Brent Gazzaniga, Terry Holt, and Geoff Salmon training at Nen Riki dojo circa 1968. 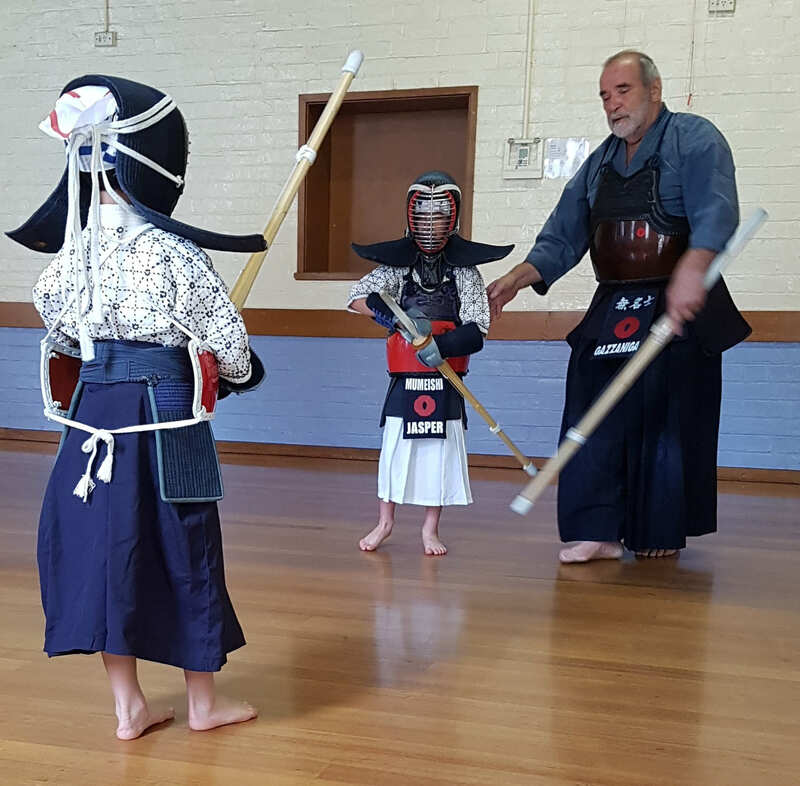 The image below is from 2018, and shows Brent Gazzaniga sensei teaching some young students at Mumeishi in Melbourne. On 25th November 2018, our club presented a Certificate of Appreciation to Ken Dorning. For many decades, and throughout our use of the Berwick Masonic hall for our dojo, Ken acted as caretaker of the hall. As a club, we've really appreciated the efforts of Ken over this time and the care he has taken in his dealings with us. On 10th November 2018, we heard the sad news of the passing of Geoff Salmon Sensei 7th Dan Kyoshi. 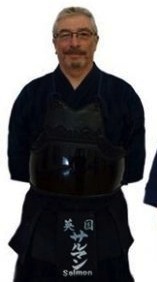 Salmon Sensei was one of the key figures in the establishment of Mumeishi Kendo Club in the UK, and was a good friend of our own senior instructor Gazzaniga Sensei. 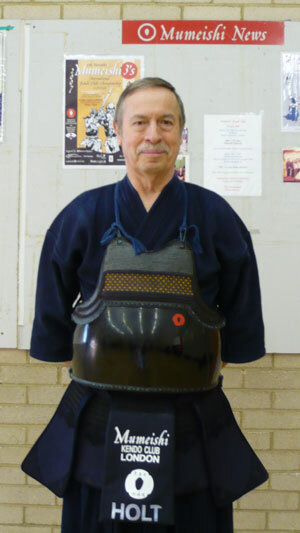 We extend our thoughts and best wishes to Salmon Sensei's family and to the UK kendo community. We share in this period of mourning. 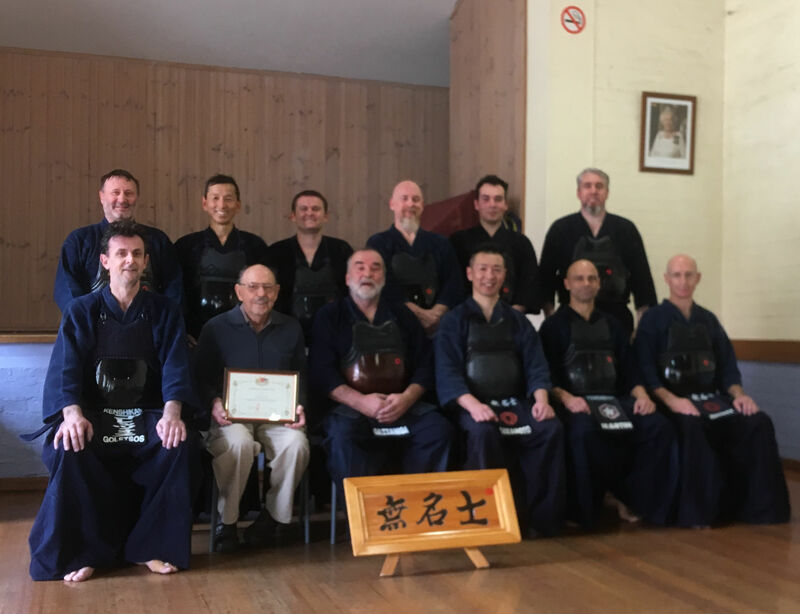 On Sunday 7th January 2018, we dedicated our training to the memory of Tajima sensei, a great friend to many in the kendo community. Tajima sensei spent some time in Australia as a young exchange student at Rochester (Vic) high school and developed many friendships within our country. Tajima sensei is sadly missed.